Like many of us, Baby of Baby Driver fame likes to unwind from work by turning on the TV and seeing what’s on. One of the things Baby stumbled upon while channel-surfing early in the movie was the Pixar classic Monsters, Inc., which one can usually see on Freeform or Disney Channel every so often. 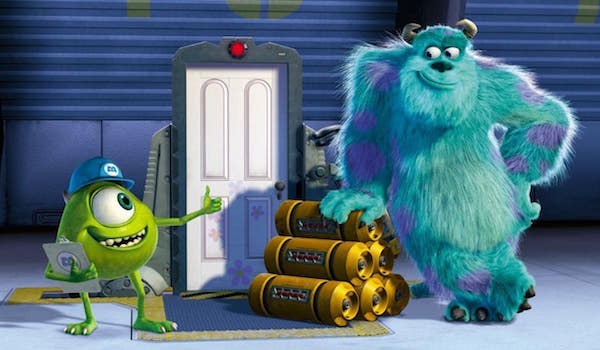 However, the fact that Baby Driver was able to show a Monsters, Inc. scene is a remarkable accomplishment, as Disney rarely allows its content to be screened in R-rated movies. The only reason Baby Driver pulled this off is because it received the blessing of Monsters, Inc. director Pete Docter. This past weekend at a Baby Driver Q&A, director/writer Edgar Wright revealed that after clueing in Pete Docter on how the movie planned to reference Monsters, Inc., Docter (who also helmed Up and Inside Out) was so impressed that he personally contacted Disney representative to allow the footage to be kept in. As such, we have Docter to thank for Baby Driver including that Monsters, Inc. footage alongside scenes from Fight Club, The Little Rascals and It’s Complicated. Wright later told io9 that it was “super cool” of Docter and Disney to be so accommodating. 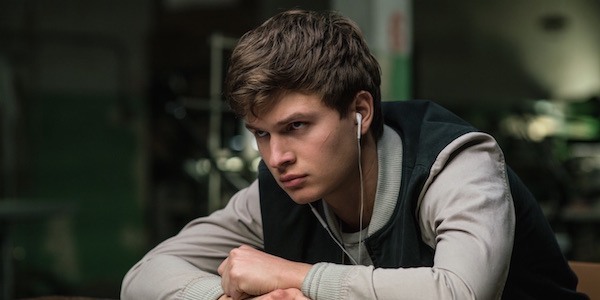 If you haven’t seen Baby Driver yet, then jumping through so many hoops just to show a few seconds Monsters, Inc. footage may not see worth it, but those who have seen Edgar Wright’s latest flick know that the payoff from that comes later in the movie. When Doc (Kevin Spacey’s character) asks Baby if he’s going to bail on their next heist, Baby says the following: “You and I are a team. Nothing is more important than our friendship.” That’s the same thing Mike says to Sully in Monsters, Inc., and when Baby tells Doc that, the mysterious crime kingpin appears to be satisfied. However, when Baby drops that line later in the movie after everything has gone to hell, Doc angrily tells him to stop quoting Monsters, Inc., as he’s familiar with the movie from his nephew’s multiple viewings. It’s a good joke, and without Pete Docter’s help, Edgar Wright would have needed to find another movie quote for Baby to feed Doc that didn’t come from a Disney movie. No doubt Wright would have found a good alternative, but it’s fortunate that Disney was willing to make an exception to its usual rule and allow this R-rated action-comedy to screen that quick moment from the beloved 2001 Pixar film. Now playing in theaters, Baby Driver has proven itself to be one of the smash theatrical hits of the summer, ranking at 97% among critics on Rotten Tomatoes and collecting more than $36 million worldwide, a new best for Edgar Wright. After you check out our review of the movie, look through our 2017 movie guide to see what else is playing for the rest of the year.